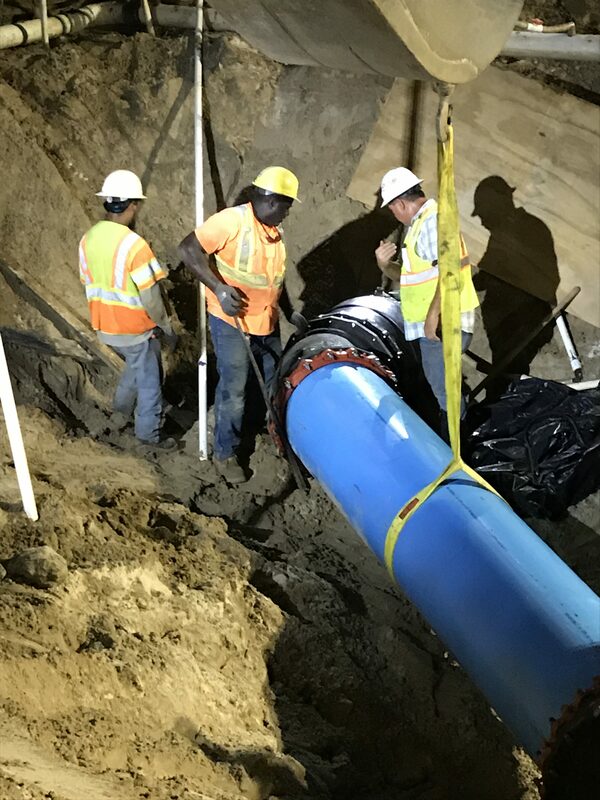 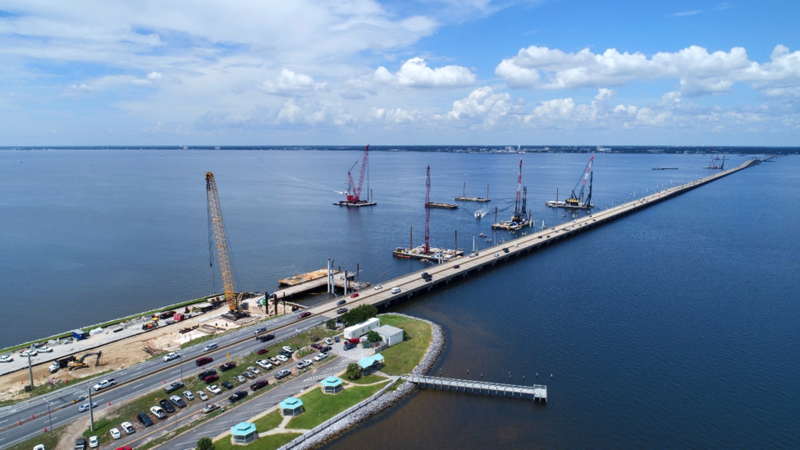 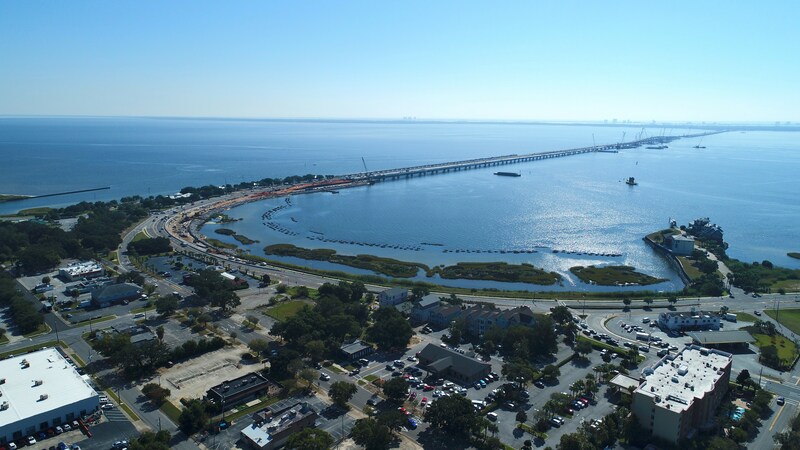 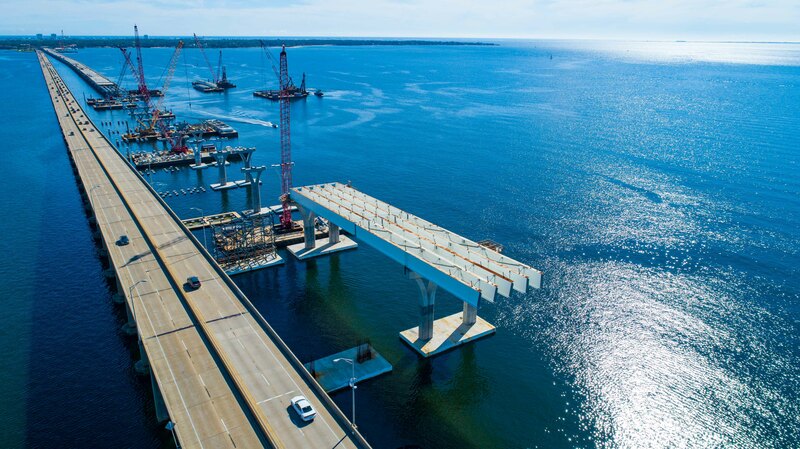 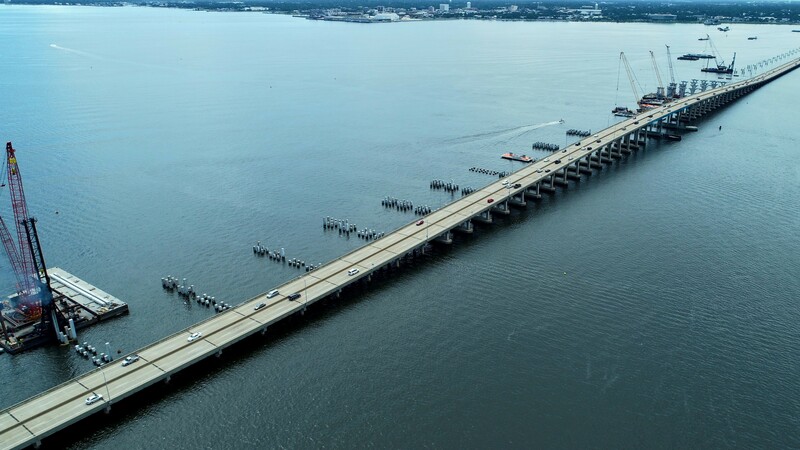 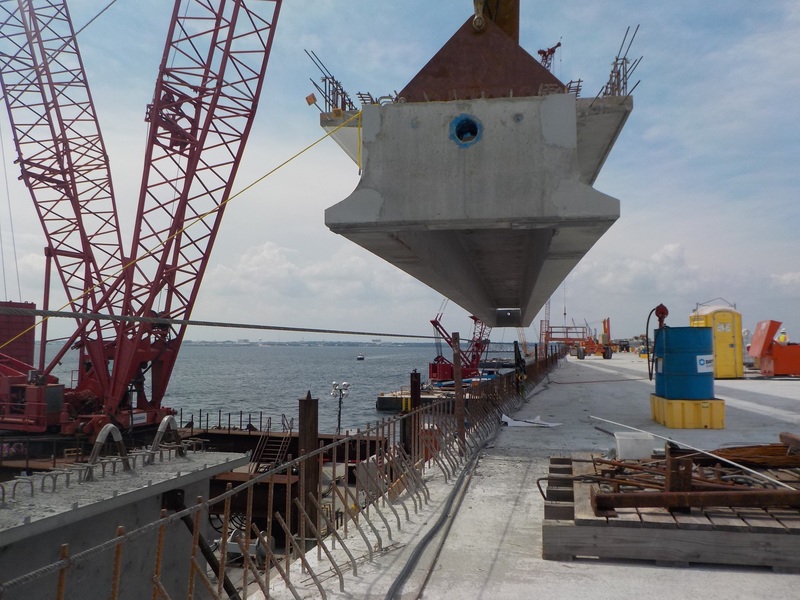 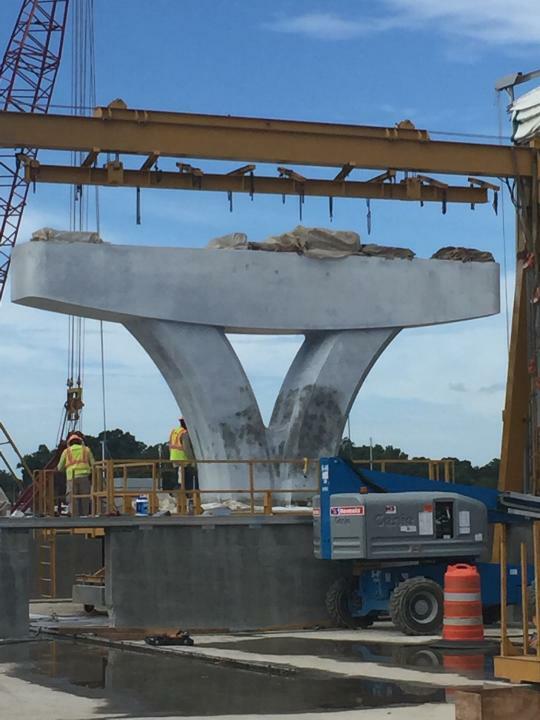 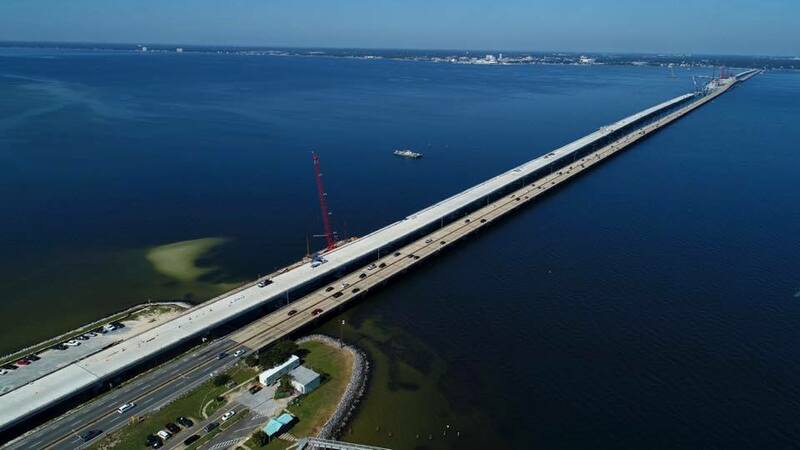 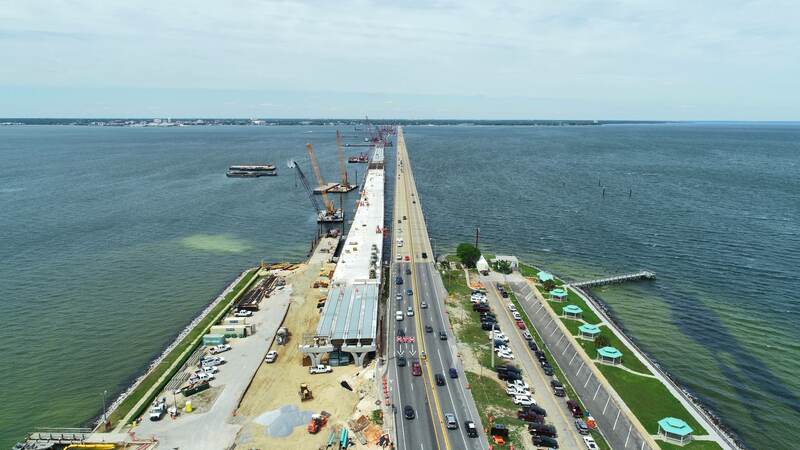 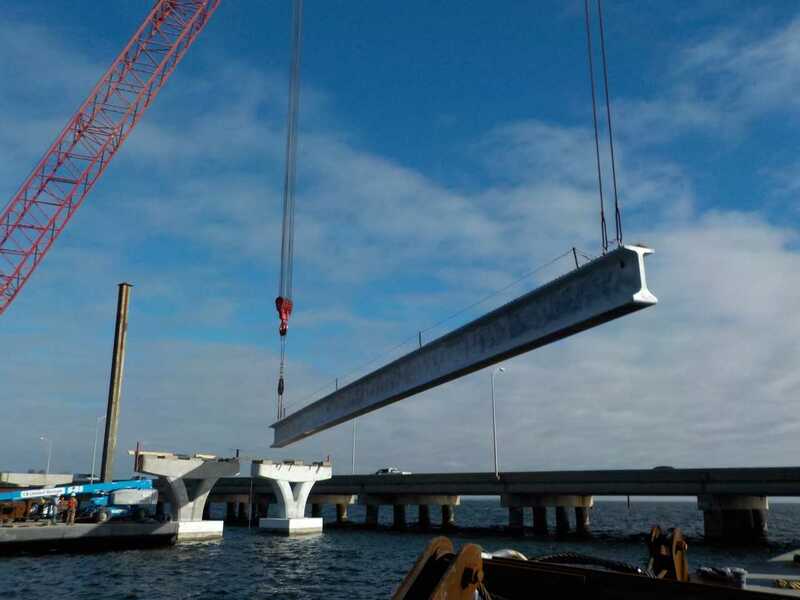 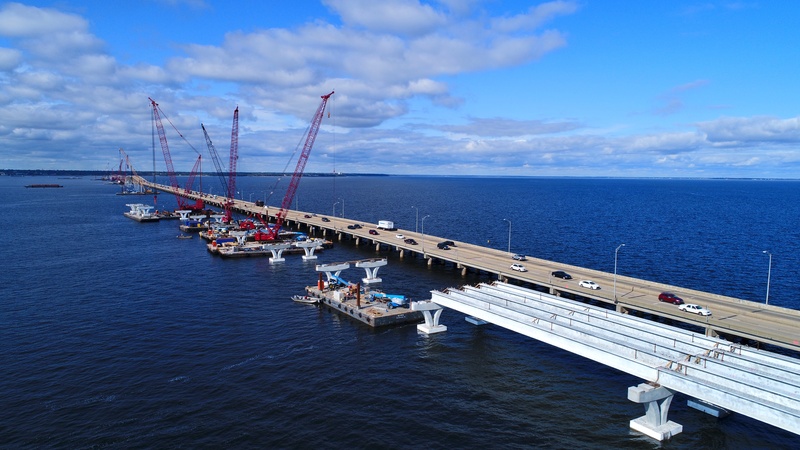 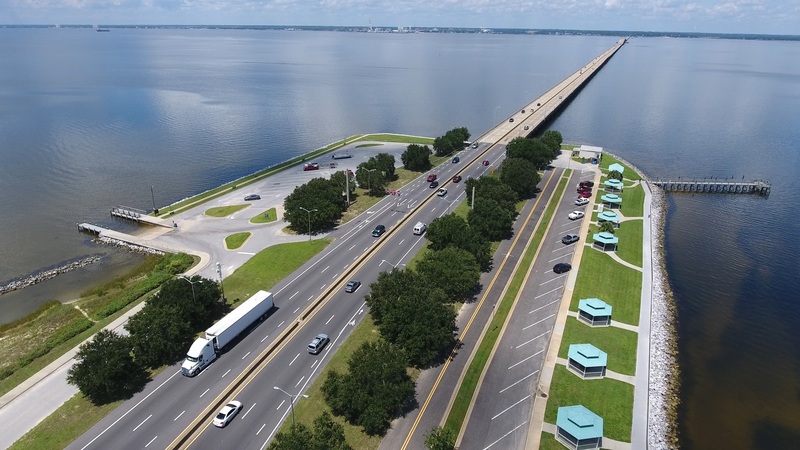 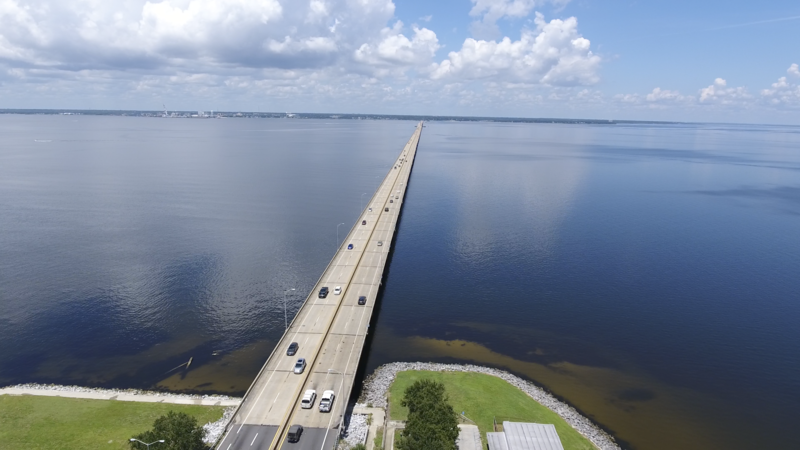 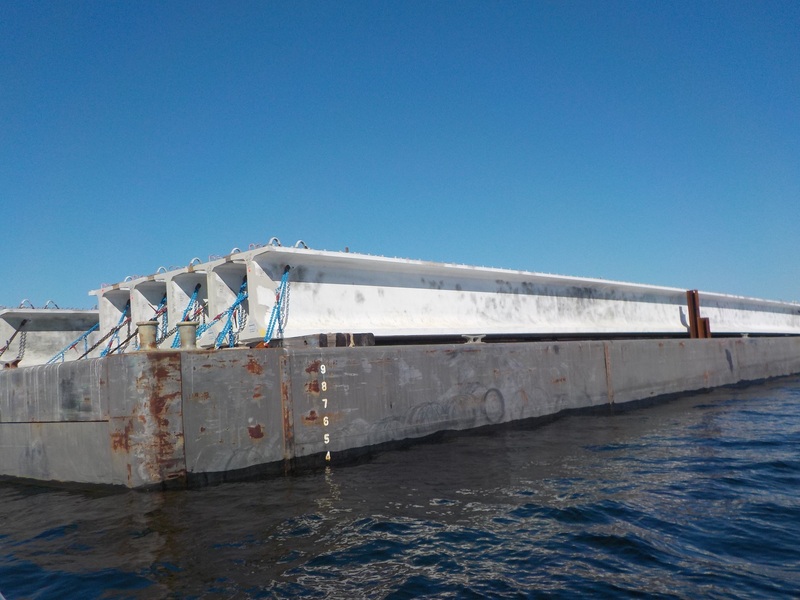 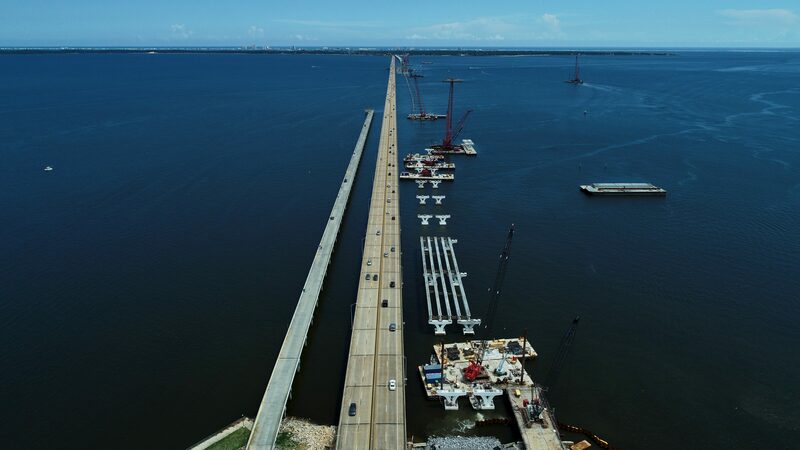 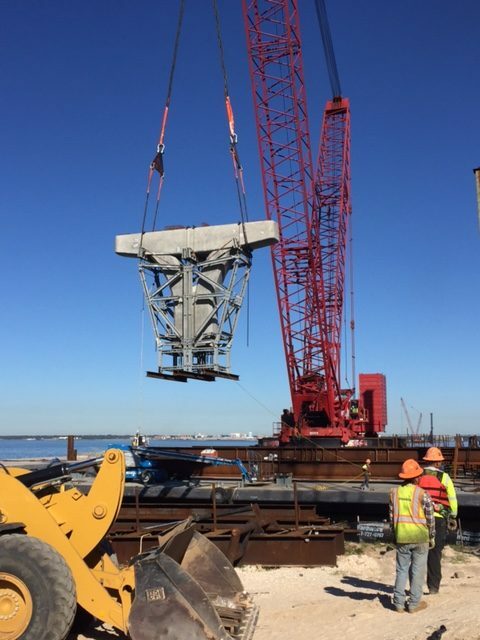 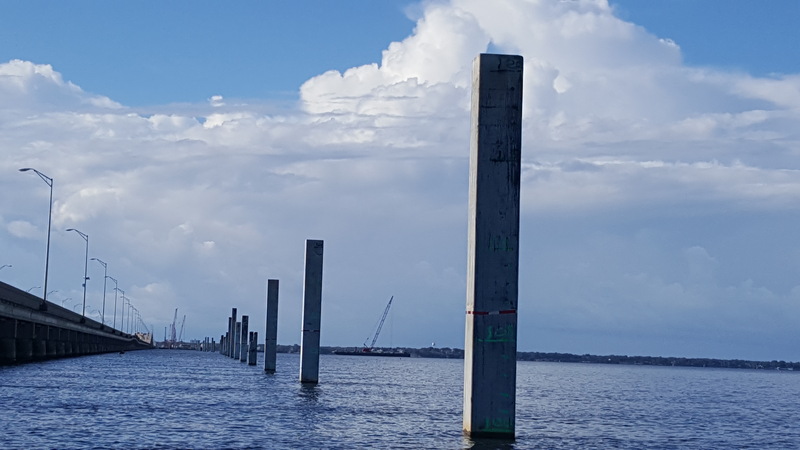 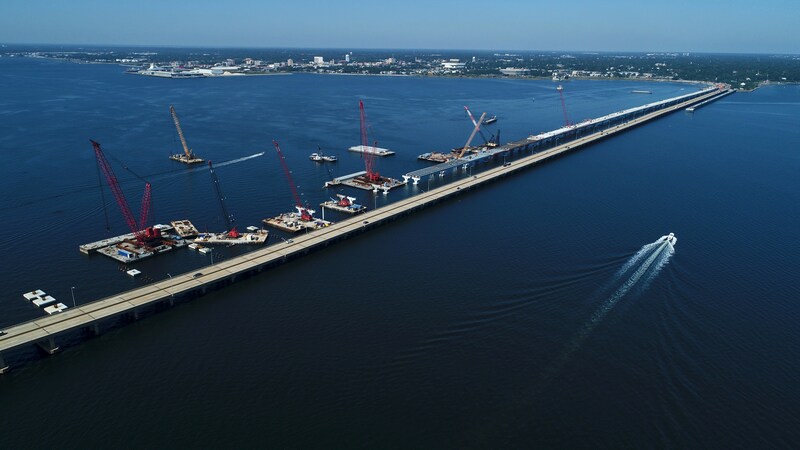 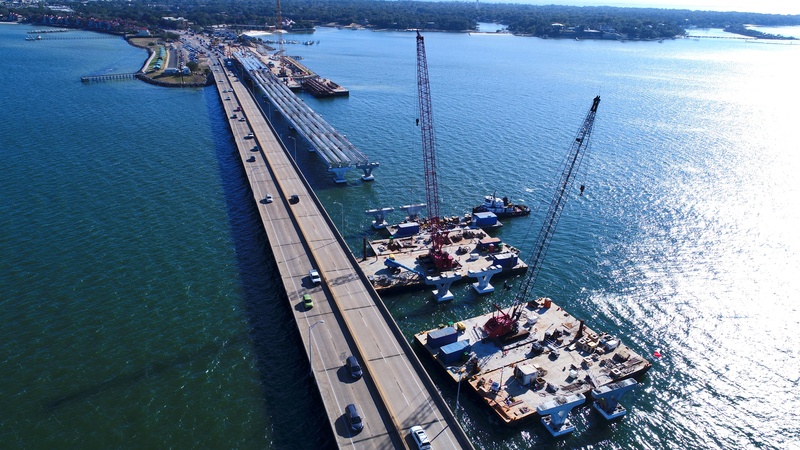 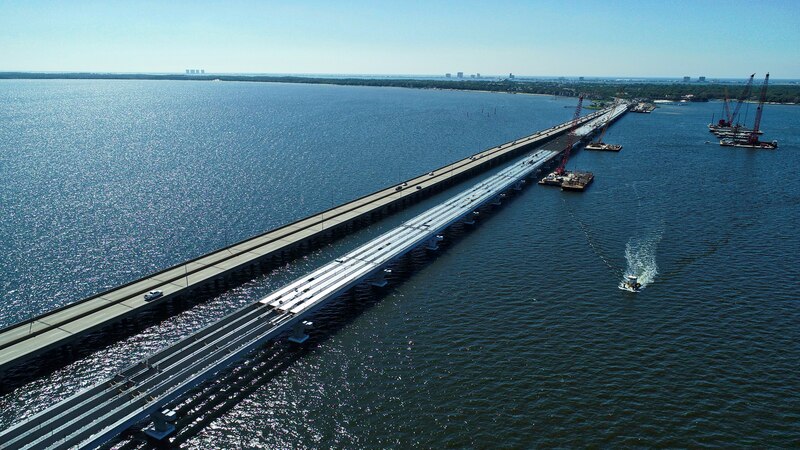 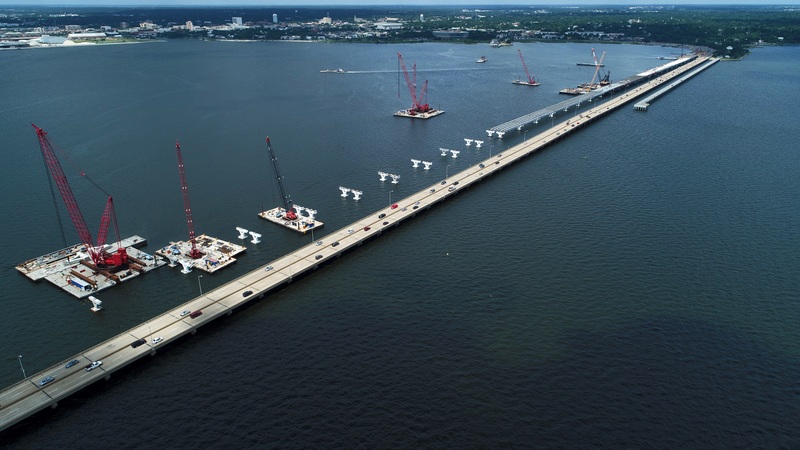 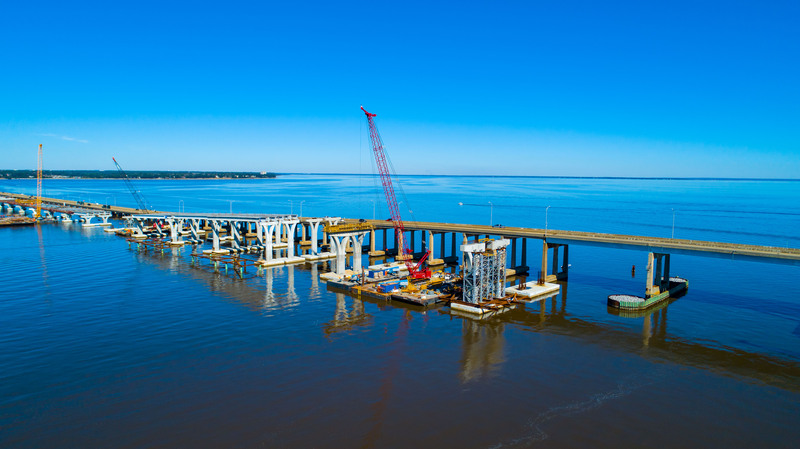 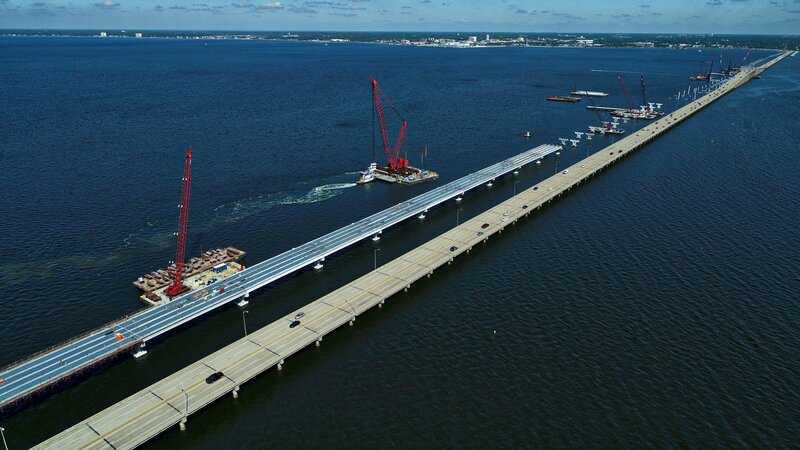 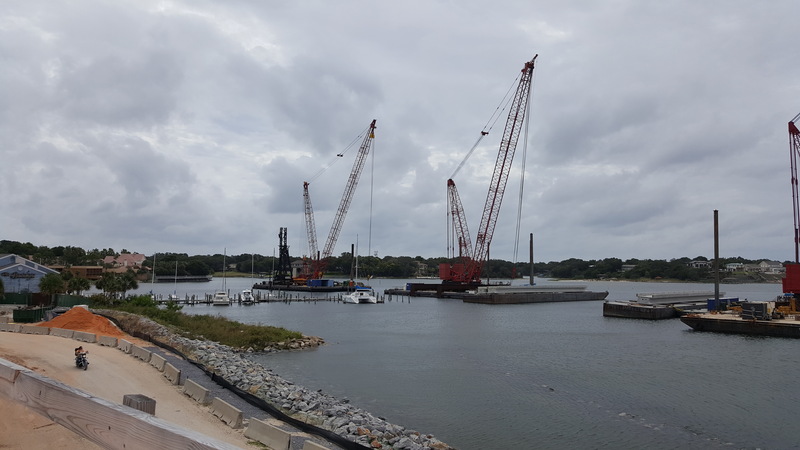 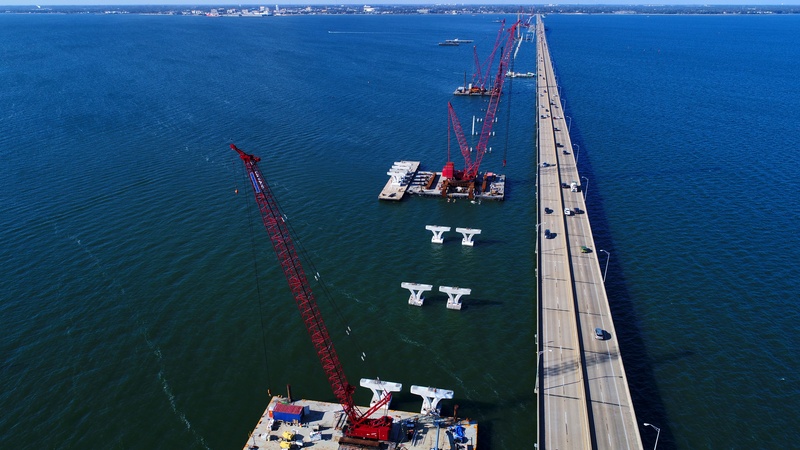 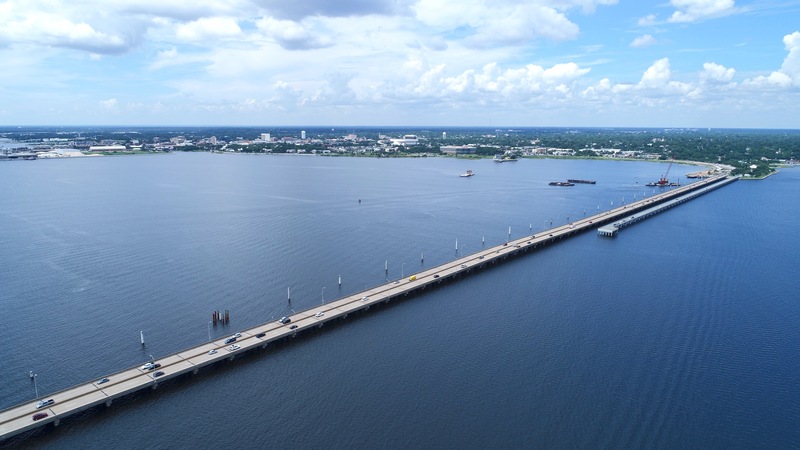 The first spans poured are located on what will become the Gulf Breeze approach for the eventual eastbound (Pensacola to Gulf Breeze) bridge. 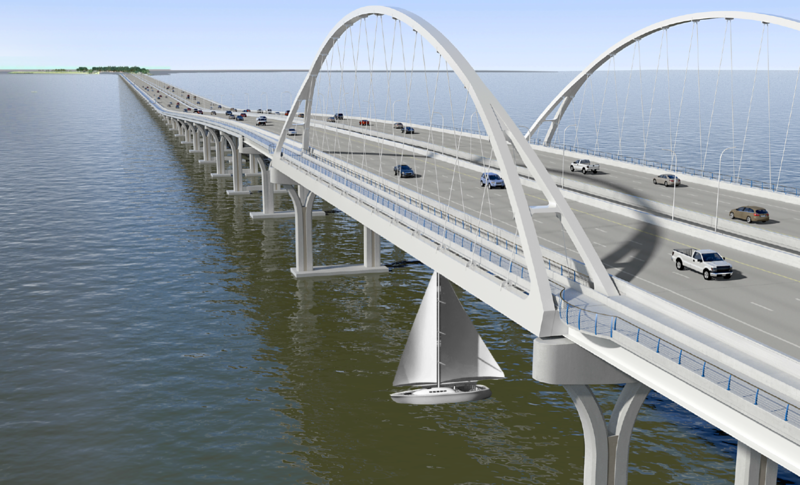 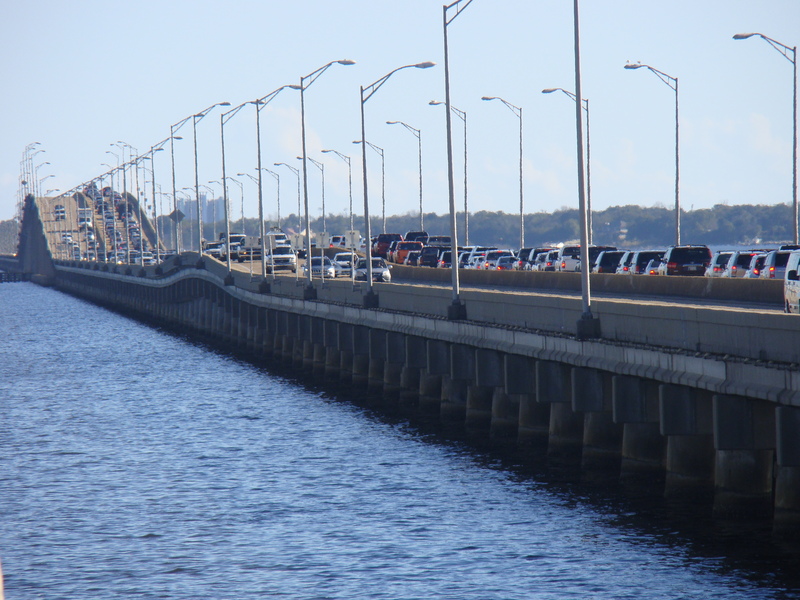 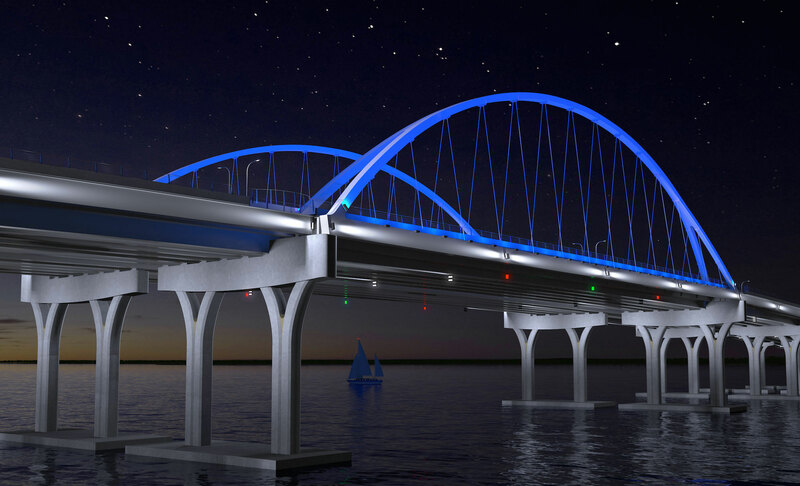 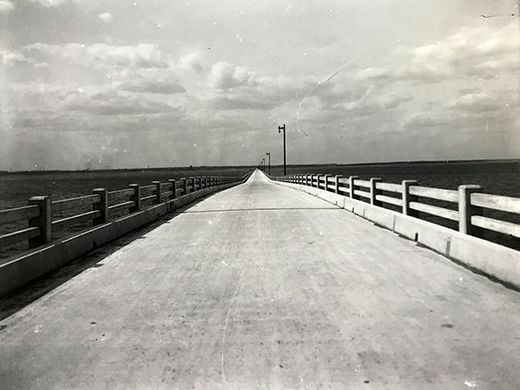 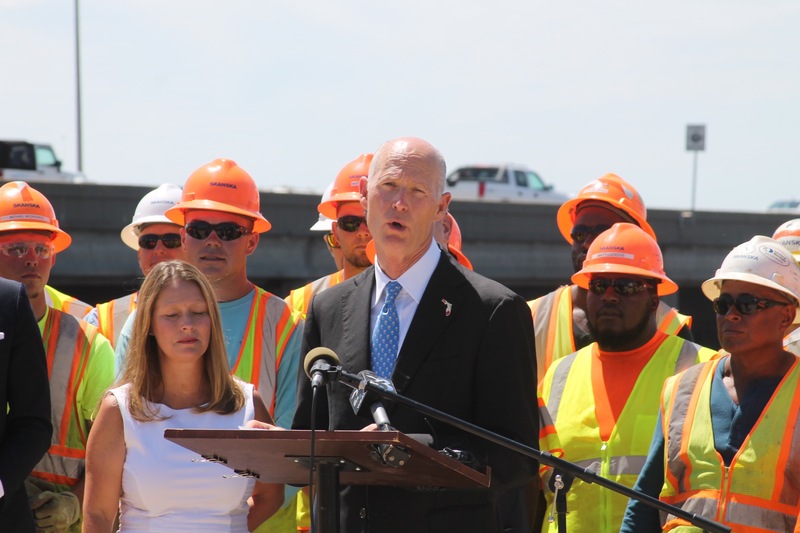 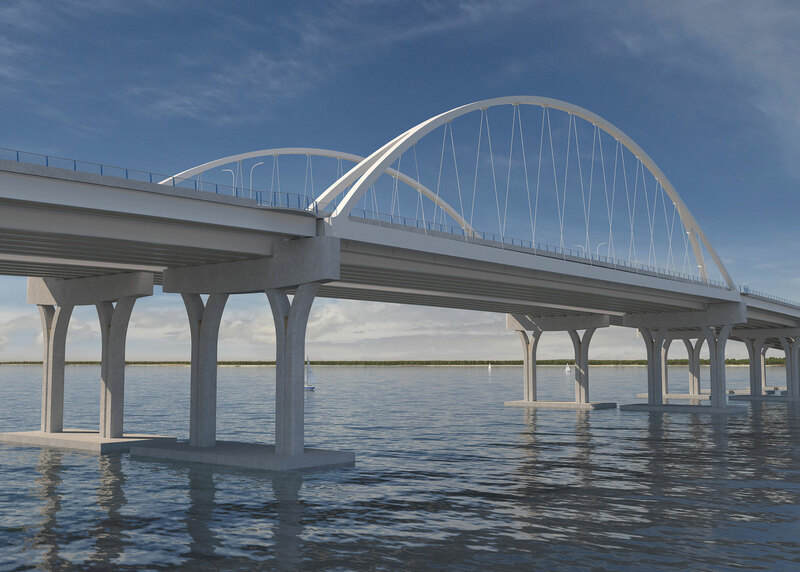 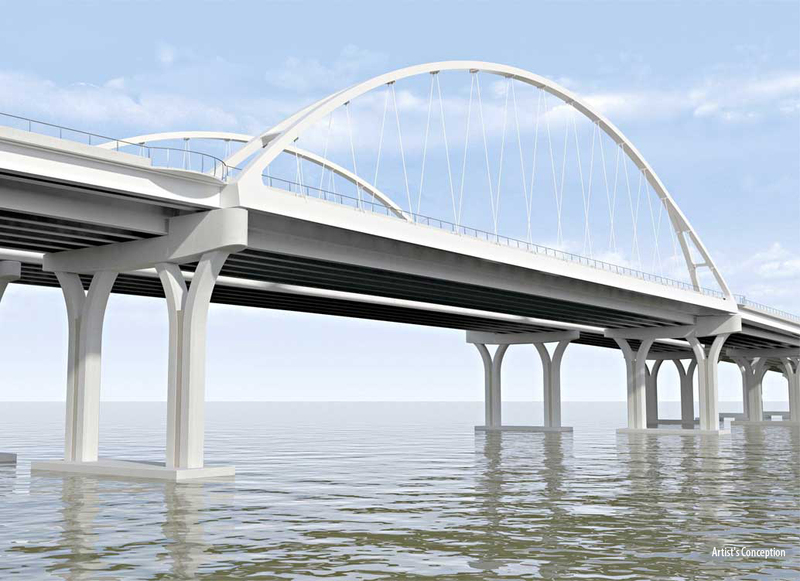 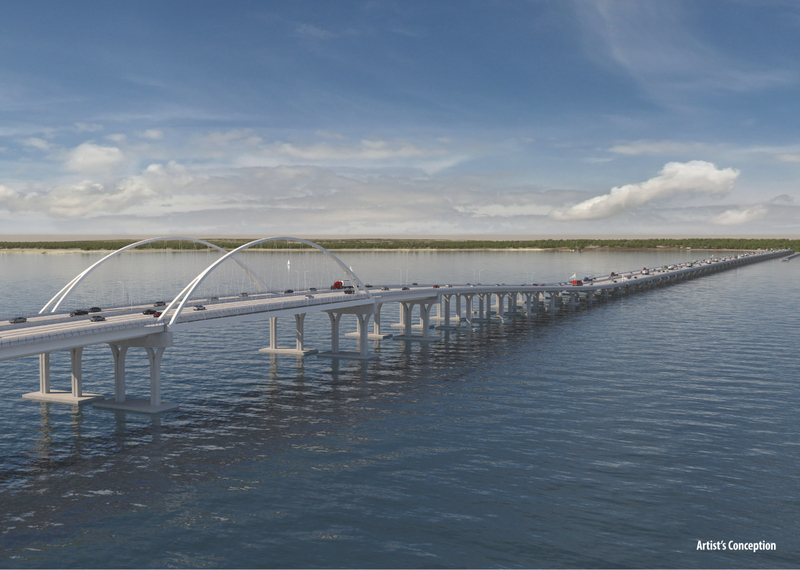 In total, the bridge design calls for 210 spans, 105 each for the east and westbound bridges. 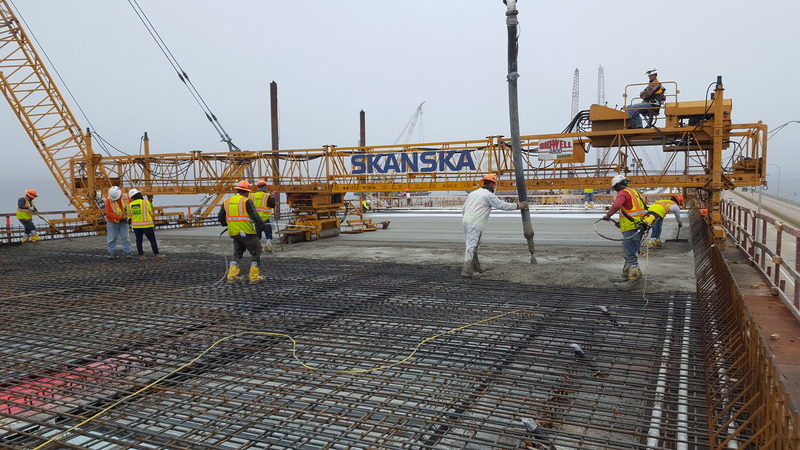 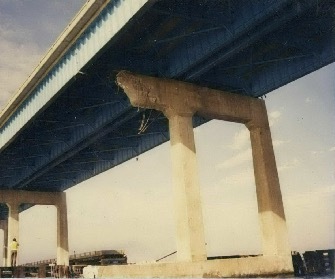 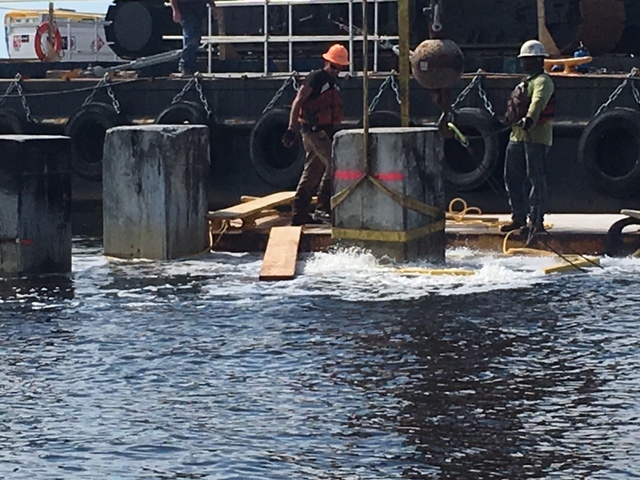 Crews are rapidly driving piles, placing trophy pieces, setting beams, and pouring decks for the new bridge(s). 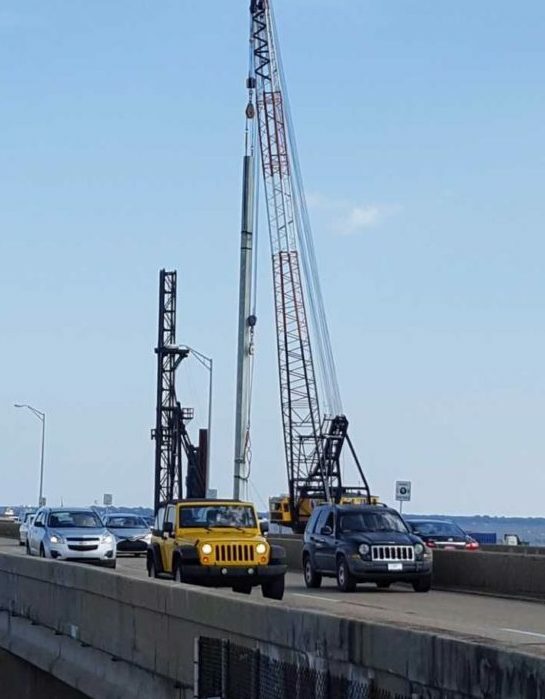 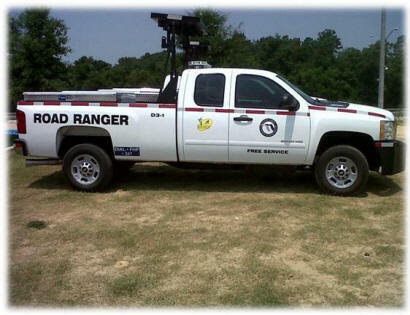 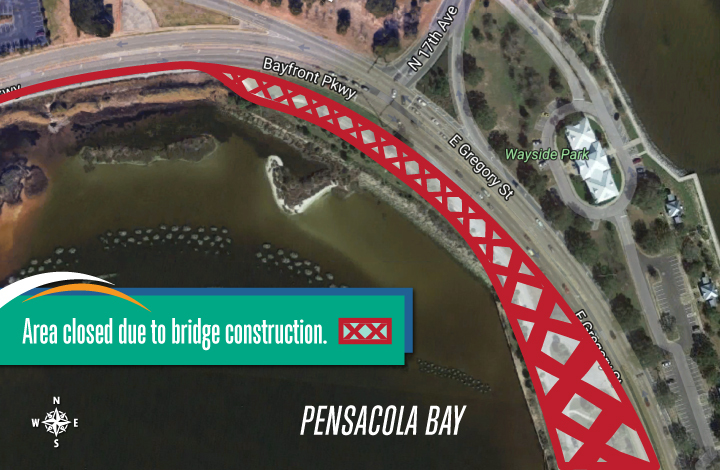 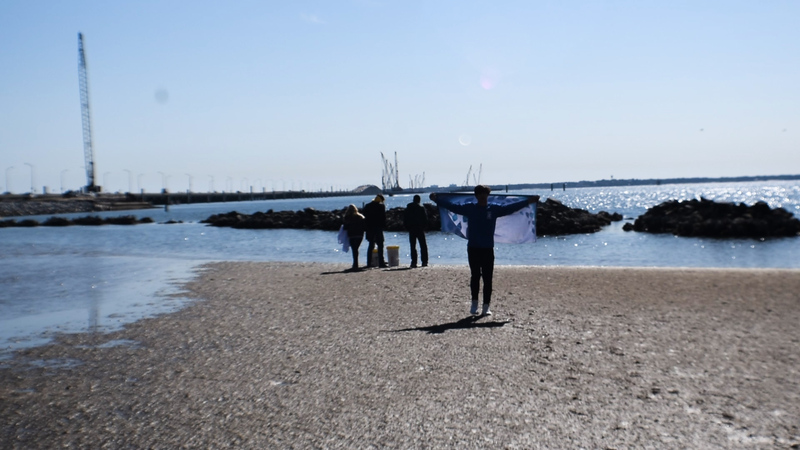 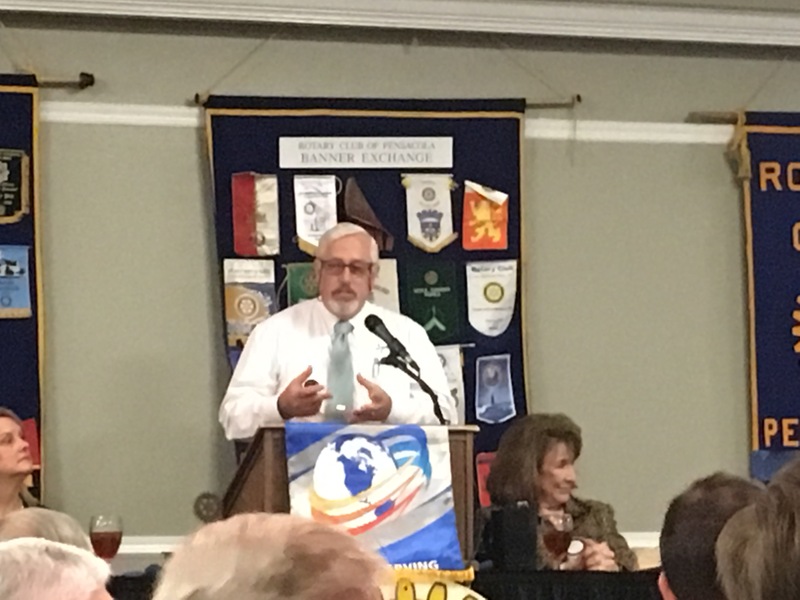 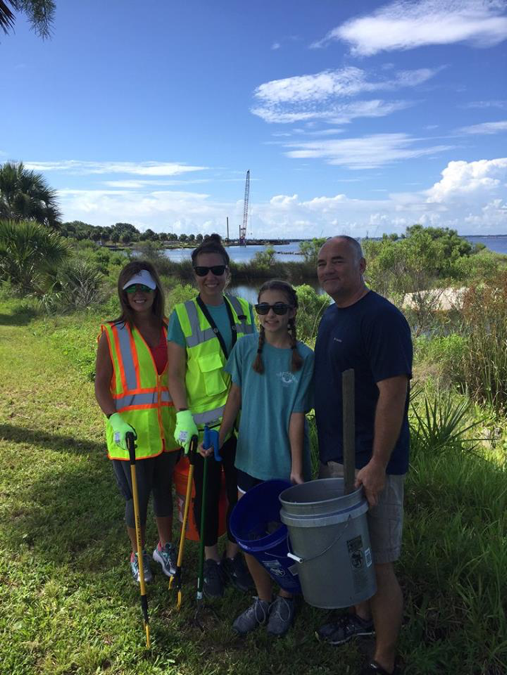 Boaters are reminded the U.S. Coast Guard has established a 500-yard safety zone for the bridge construction area. 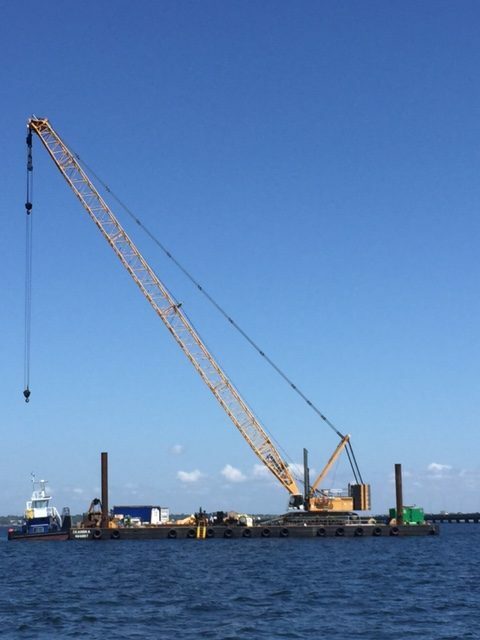 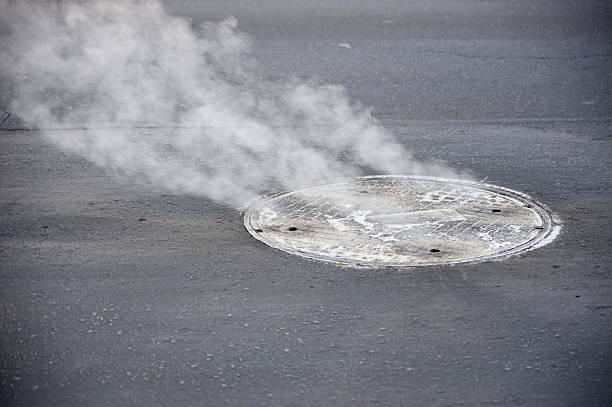 All vessels must maintain an idle or safe speed with the safety zone.